Incarceration is on the rise in small, poor towns across the country — often with deadly consequences. It’s a toxic mix: enhanced policing, a new opioid and heroin epidemic, and concentrated poverty. The result is growing jail populations not in our major cities, but in smaller, poorer towns, and cities across the country. Trump’s new war against the undocumented is accelerating the damage, particularly in rural spaces along the southern and northern land borders of the country where county jails expand as detention orders proliferate. Even criminal justice reforms contribute to growing populations by producing shorter and more numerous sentences that get served in county jails. These horrors peak in the hidden, brutal deaths in detention — almost always by those awaiting trial. Over 70 percent of those languishing in the Broome County Jail are unconvicted. One of these was Alvin Rios, who died in the jail in 2011. A mandatory state report following Rios’s death confirmed he was left lying down and shaking, “in an emergent, life-threatening status without appropriate medical attention.” Like many counties, Broome County has privatized health care, outsourcing it to New York’s largest for-profit provider of jail health services, Correctional Medical Care (CMC). In this case Rios’ family sued, and won a judgment against the County Sheriff and CMC. Barton’s words were grim prophecy: he died shortly thereafter. His family is garnering support via Facebook, and is now suing, demanding medical records and video confirmation of accounts that Barton was administered a brutal beating in his cell the day before his death. Rios and Barton are not alone: since 2013 six unexplained deaths have occurred at the small upstate jail, a rate that should have triggered inquiry. The state corrections commission, required to investigate all deaths, refused to release its reports. Indeed it took multiple Freedom of Information Law requests to even uncover the deaths; the county and its Sheriff continue to stand silent. There is more here than a brutal story of backward justice: this is a national syndrome. Broome County was once an industrial powerhouse, the Silicon Valley of the mid-twentieth century as high-tech firms led by home star IBM spread across the river valley. IBM alone employed over ten thousand people in the Binghamton area up through the 1980s, with many more added by other military and aerospace firms. IBM is long departed; the workshops that designed and produced the first big mainframes sit quiet, the IBM Country Club shuttered and falling into disrepair. The few remaining jobs at older military firms like BAE and Lockheed Martin shrink steadily. Minimum wage jobs for locals at new health and educational centers are no replacement. With 200,000 residents, Broome County now looks like much of deindustrialized, small-town, and rural America: it has an aging and poor population. The US Bureau of Labor Statistics in its last report noted that Broome was the only county of its size in the state where employment has failed to recover from the fall after the 2009 great recession. Per-capita income in the county is less than one-quarter of Manhattan’s and barely half of the average for all New York City boroughs. Eighteen percent of the county’s population and almost half of its small black population live under the poverty level. The county ranks fifty-sixth out of sixty-two counties in New York State for overall health. Stripped of tax revenue, employment, and health by the flight of its once proud and paternal firms, the people of the county struggle. The response of the county government to date has been to steadily cut health and social services and invest in incarceration instead. In recent years the county mental health center was closed and the residential disability center was shut down without promised community services replacing it. In 2014, despite much protest at county meetings, the county spent $6 million to expand the jail. This past year, again to loud public protest at county meetings, the county legislature voted to severely cut the budget for the county nursing home, privatize its food services, and at the same time hire thirteen new guards for the ever-expanding jail. And this month the county is secretly shifting funds and personnel from the health department to add to its staff of nine persons investigating small-scale welfare fraud. This situation is not unique to Broome County: jails and jail populations are expanding all over upstate New York. Jails have become, as in Broome, the hidden warehouses for the social ills resulting from the decline from industrial might to concentrated impoverishment. The opioid and heroin drug war has dramatically concentrated this jail syndrome, as those with substance use diseases join the disabled and mentally ill not in community treatment but in the boxes of our jails. As sociologist and Binghamton native Andrew Pragacz has documented, state-wide criminal justice reforms, such as shorter drug sentences, have diverted many into local jails. According to Broome County officials themselves, over 80 percent of those penned up in the jail have substance use disorder problems. A strong local organization demanding treatment services, TruthPharm, has emerged and has growing support across the region. 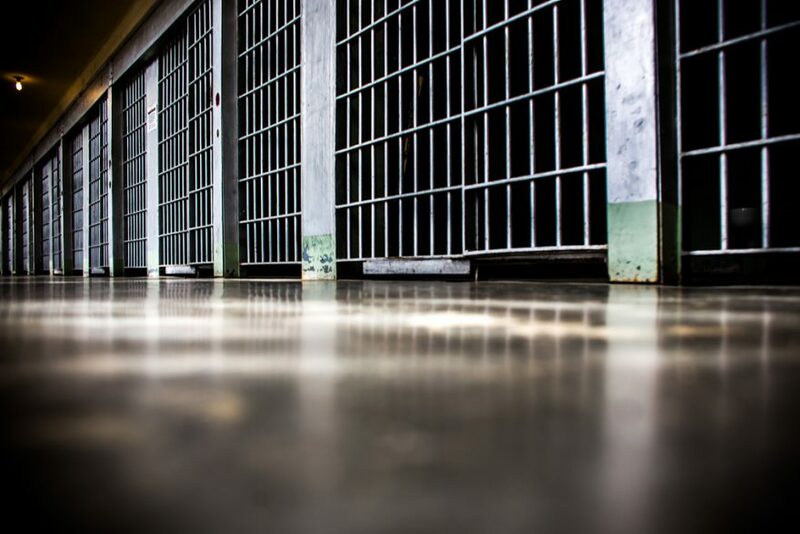 Jails in poor locales are increasingly becoming the place where deadly detox takes place for all but the rich, and where those who survive these brutalities return to communities stripped of any assistance. And then parole violations on the most minute infractions return many to yet more stints in the county jail. To these number are adding the ever growing, profitable cells filled by federal immigration detainees. The good news is that in Broome and surrounding counties, real resistance has emerged. To the immediate north, Cortland County’s attempt to build a new jail has been vigorously opposed by United Voices of Cortland. To the west, the expansion of the Tompkins county jail is being resisted by the Ithaca Prisoner Justice Network. In Binghamton itself, an ad-hoc, public meeting on criminal justice reform last March had a surprising turnout of formerly incarcerated persons, progressive mental health and disability providers, and long-term justice reformers. This resulted in a new coalition Justice and Unity for the Southern Tier (JUST). Similar groups have emerged across the state, leading to an organized network spanning the smaller towns of the state. Lacking the resources of advocates and organizations in New York City — there are no big Soros, NoVo, or Ford grants upstate, no large and long-standing organizations like Osborne or the Fortune Society — these small local efforts are growing and pushing hard against the social and moral cost of incarceration. We tend to view these efforts as follower-come-lately to big city reforms. New York City, after all, is held out as the national example: it has seen its jail population dramatically decline and reentry services expand. Yet these insurgencies in our small, impoverished towns and rural areas may highlight a broader social movement reality, demonstrated by the local organizing and networks flowing out of Occupy and Black Lives Matter: the real course and future of social movements may lie not in national parties, out-of-town celebrity activists, progressive NGOs and think tanks, or even the formation of national organizations headquartered in our global cities, but in the growing ability to organize and mobilize at the local level, in big and small locations alike, intensely, persistently, persuasively, and together. William Martin teaches at Binghamton University and coordinates a decarceration research working group there.